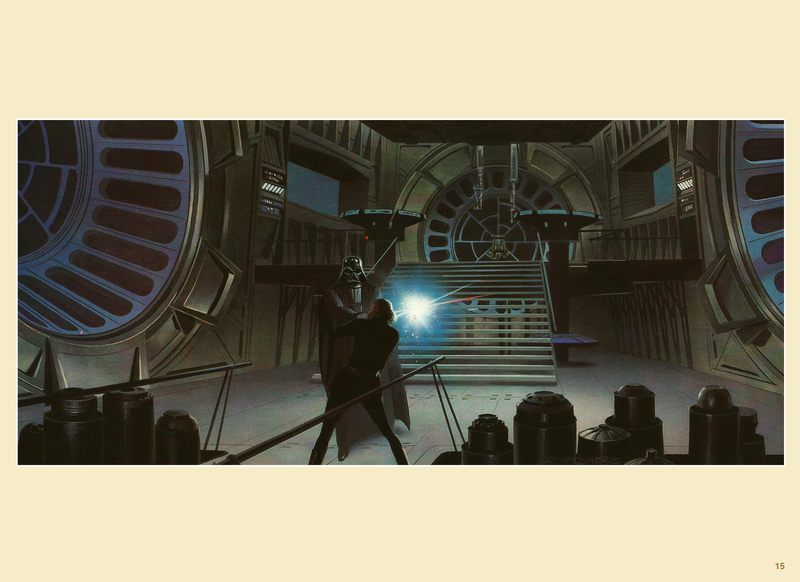 Star Wars: Return of the Jedi Portfolio, Plates 15-20 (1983) | 'TAIN'T THE MEAT… IT'S THE HUMANITY! 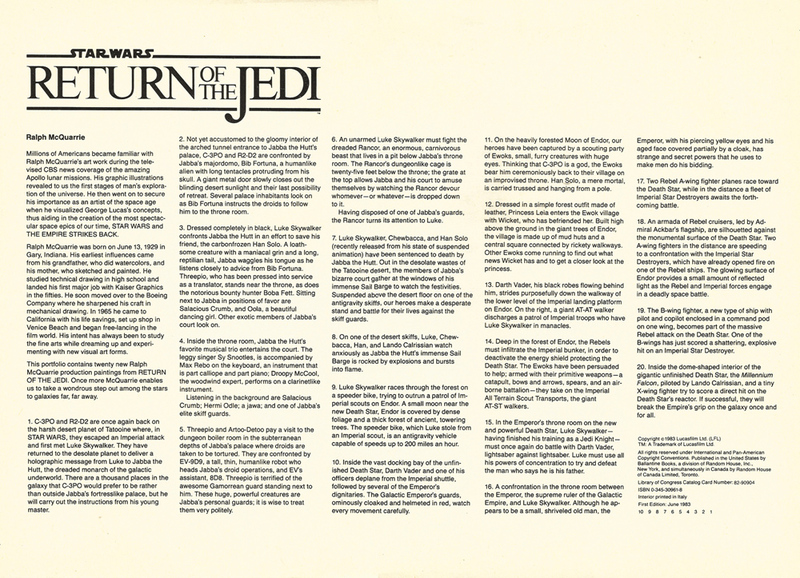 Here are the last six plates from The Star Wars: Return of the Jedi Portfolio published by Ballantine Books in 1983. 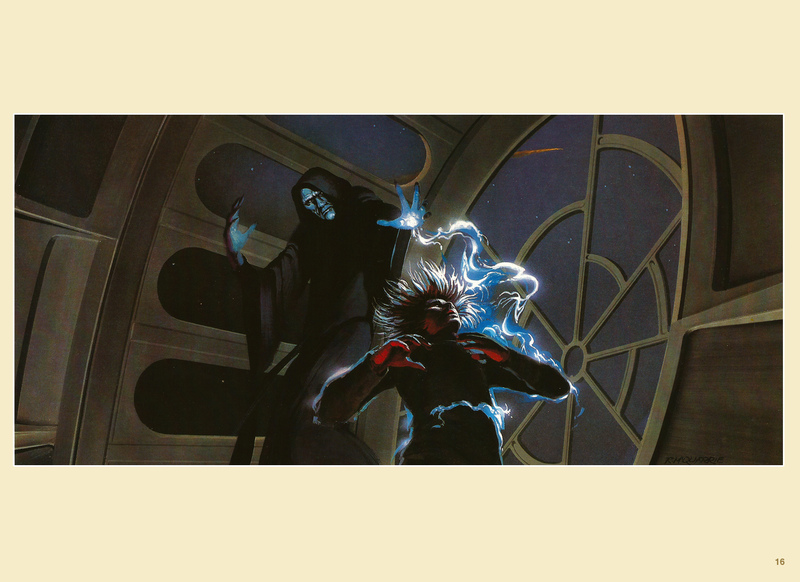 Released to cash-in on the huge success of the third Star Wars film, the portfolio featured 20 full-colour production paintings by one of the trilogy’s concept artists, Ralph McQuarrie. 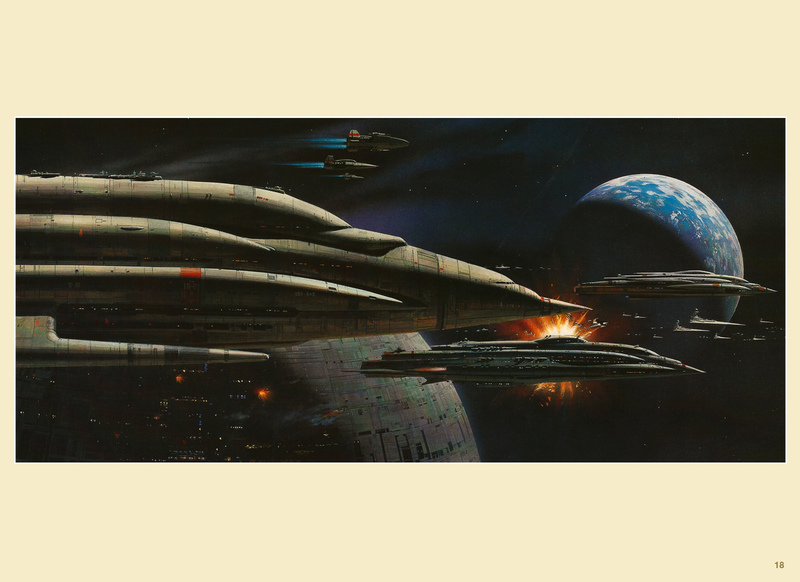 Portfolio sets for both Star Wars and The Empire Strikes Back had proved a huge hit with fan (click here for a closer look at the Star Wars portfolio). 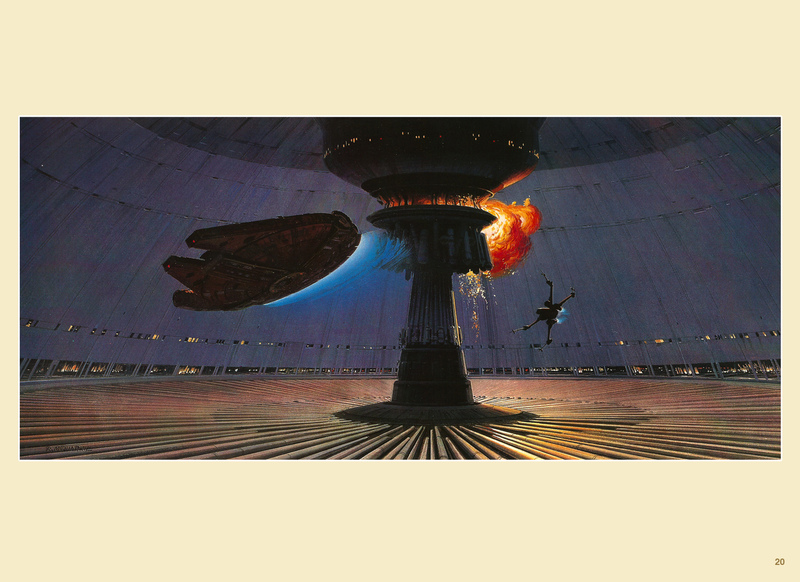 But unlike the collections for the first two movies – which featured early concept and production paintings – the Star Wars: Return of the Jedi Portfolio featured paintings McQuarrie made after filming was completed. 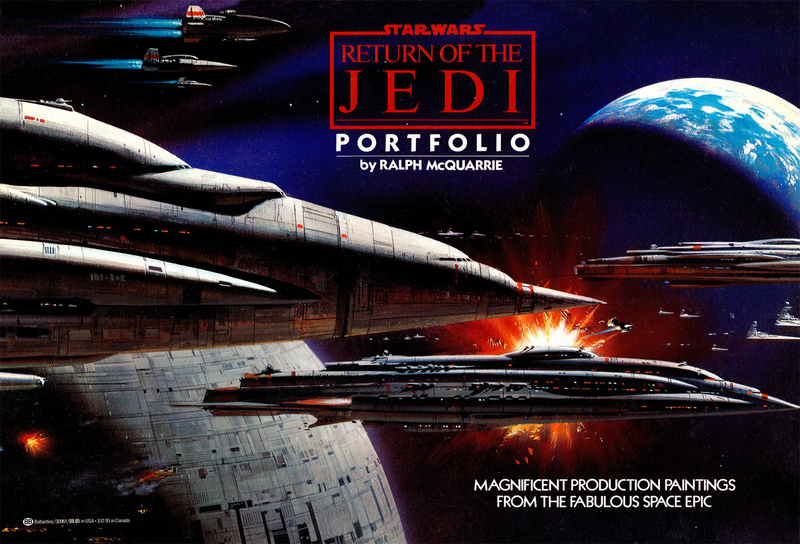 Priced at $9.95 ($25 when adjusted for inflation) The Star Wars: Return of the Jedi Portfolio contained twenty 15.5 x 11 inch paintings printed on high-quality paper. 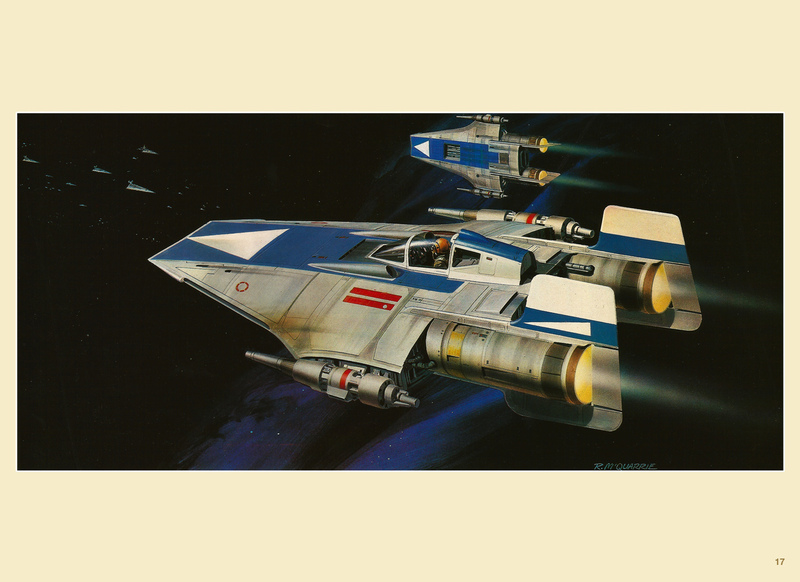 A caption sheet, with descriptions for each painting, as well as a biography of McQuarrie was also included, and the set shipped in a sturdy fold-out cardboard folder. 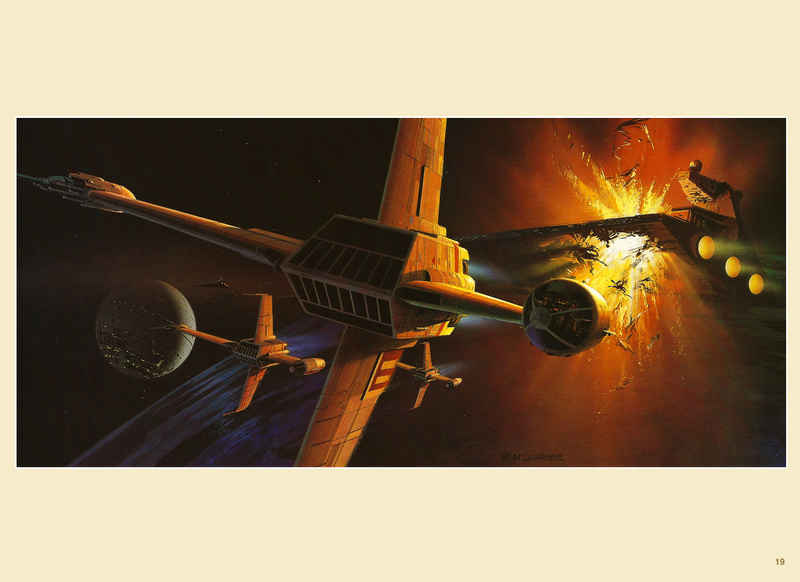 Below are the third set of prints from the portfolio – Plates 15 to 20 – which are all from the film’s third act, the destruction of the Death Star. Click here for Plates 1 to 8, and here for plates 9-14. I also have The Empire Strikes Back Portfolio in my collection, and I’ll be highlighting the set in the next week or so.